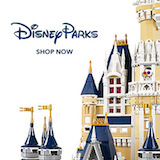 DVC Financial News - DVCNews.com - The essential Disney Vacation Club resource! Disney Vacation Club is keeping things simple in its latest round of purchase incentives. No gift cards, no free annual passes, no Disney cruises--just a few dollars off the list price of each point purchased. December is typically a slow month for direct sales of Disney Vacation Club points and the trend continued in 2017. However, the full year produced the best sales figures DVC has seen in quite some time. Disney Vacation Club has developed a creative new way to market points to fans of runDisney events. Due to the pending tax law changes in the US, prepayment of 2018 property taxes has been a popular topic of discussion in recent days. But can Disney Vacation Club owners benefit from paying their 2018 dues now? Disney Vacation Club will soon increase prices on all of its resorts, with several crossing the $200 per point threshold.